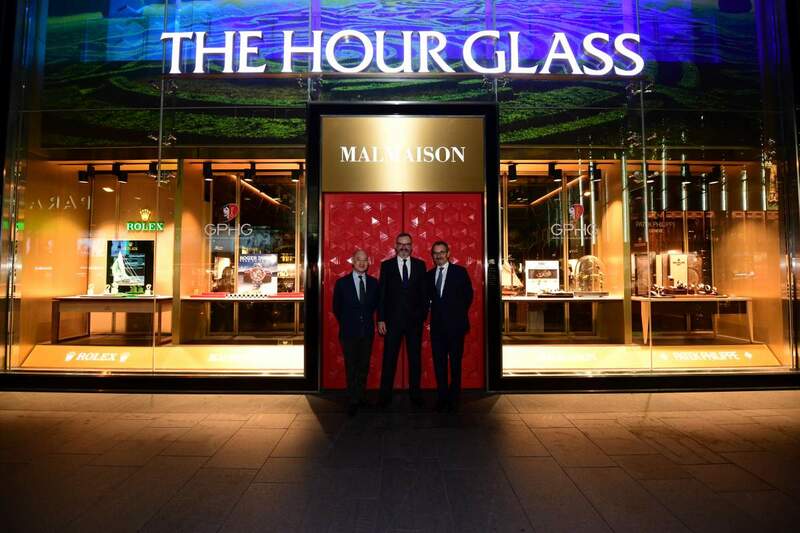 After Venice and Hong Kong, the 72 watches pre-selected by the jury of the 18th Grand Prix d'Horlogerie de Genève (GPHG) are being exhibited from October 17th to 21st in Singapore by renowned retailer The Hour Glass, within the splendid setting of its Malmaison boutique on Orchard Road. On show for five days within this stunning environment imbued with art and culture, the exhibition open to the public welcomes visitors eager to admire the year’s finest watch creations, competing to win the prestigious “Aiguille d’Or” Grand Prix or one of the 16 awards to be handed out in Geneva on November 9th. “It gives me great pleasure to be part of this distinctive global platform that celebrates design and engineering innovation in the watch industry. Our organizational mission to advance watch culture necessitates us to devote resources to deepen our engagement with the watch collecting community both in Singapore and in the region. Endorsing and presenting this public exhibition is one such important exercise that will continue promoting the appreciation of horology and the watchmaking arts." The principal partner of the GPHG, LGT Private Banking, is also taking part in the event by choosing to offer its clients exclusive initiation sessions into the technical and artistic finesse of the timepieces on show, in the company of watchmaking experts. A rare opportunity for these end customers to admire within a single location the diversity of today’s watchmaking creativity expressed through models by more than 40 different brands. The next stop for the Roadshow is Geneva, where a collective exhibition initiated by the GPHG and featuring several local institutions will invite the public to discover the multiple facets of the contemporary watchmaking art, from November 1st to 14th 2018 at the Musée d’art et d’histoire. Created in 2001 and overseen since 2011 by a foundation recognised as a public interest organisation, the Grand Prix d’Horlogerie de Genève is intended as an annual salute to the excellence of the contemporary watchmaking art.